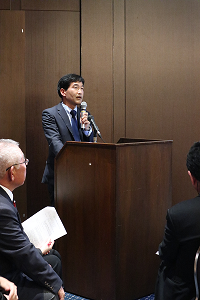 PIC and Palau Visitors Authority Japan Office jointly hosted “Palau Tourism and Business Seminar” on November 1 at Shikonkan of Meiji University. In this coming December, the forth government and private sectors joint economic mission is to be dispatched to The Republic of Palau. With this context, this seminar has been planned to serve as a valuable opportunity to make people know more about The Republic of Palau, from broad set of perspectives by expanding its tourism and business possibility. 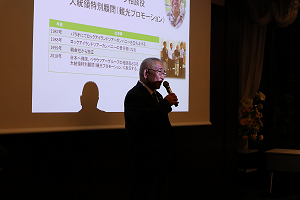 This seminar is targeted at companies that will join the economic mission in December, people who are planning to develop business in Palau, parties and individuals who are interested in Palau or involved in travel industry that promote human exchange including tourism. 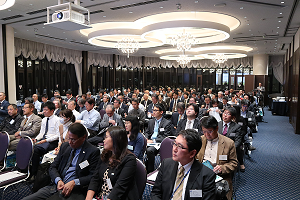 The seminar was well attended with more than 120 people including His Excellency Francis Matsutaro, Ambassador Extraordinary & Plenipotentiary of The Republic of Palau to Japan, as an honorable guest. Through the presentation and the panel session mainly focused on “current status” of The Republic of Palau, the attendees could get general information of Palau, including governments’ eco-friendly approach as a tourism-oriented country, trend of tourists from all over the world, current status of hotels in Palau, and accessibility from Japan. Especially, we could recognize that Palau still retains some remnants of Japanese reign during World WarⅡby comparison between the map of Koror Island at that time and its photo of today. On top of that, airport(s), bridges and facilities developed by Japanese Official Development Assistance were shown, which tells a great deal about Palau’s growth through infrastructure improvement by Japan’s contribution. It was really intriguing content that tells the reason why people of Palau feel strong affinity toward Japan. Seminar program is as below. The Republic of Palau attracts many tourists as the most beautiful diving sanctuary　and for its world complex heritage listed Rock Island. 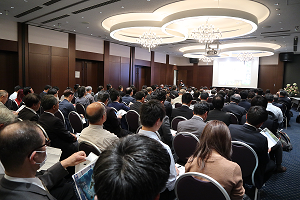 agriculture; especially for the further expansion of business growth with Japan. There is no time difference between Palau and Japan, being blessed with a nice climate. Please consider Palau as one of the options for your business plans and travel destinations.